If you are planning on gaining admission or applying to the University of KwaZulu-Natal, then you are on the right page. Through this post, we’ll be discussing the UKZN Admission and Application Forms: 2019/2020 and how to Apply? 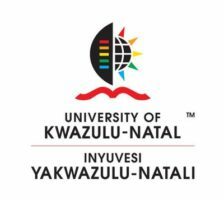 The post also contains the University of KwaZulu-Natal, UKZN Application form download link as well as its online application where necessary. • Applicants wishing to transfer from other Universities must submit certified copies of their National Senior Certificates/Senior certificates as well as complete academic transcripts from their previous/current Universities with their applications. • Medicine: 30 June: No late applications are accepted. If you have been registered at UDW, UN or UKZN before and would like to complete your studies or enroll for another undergraduate programme, you must apply directly to UKZN. If you would like to apply for undergraduate non-degree studies or for an undergraduate programme not listed in the CAO Handbook, you must apply directly to UKZN. 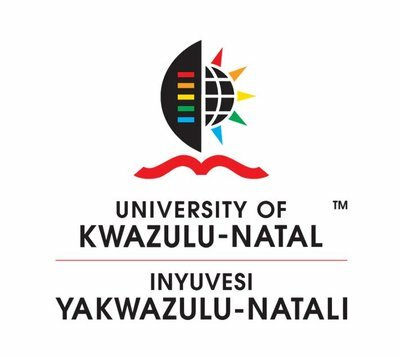 If you have not studied before and would like to apply for admission in the second semester of an academic year, you have to apply directly to UKZN. Only limited programmes will consider first time applicants for entry into semester 2. Applications for semester 2 will only be considered if minimum requirements are met and if spaces are available. Write to enquiries at [email protected] to request application material. List your programme choices on page one of the application form. Please write the name of the programme in full. Provide your existing student number on page one of the application form if you have been registered before. Indicate if you which to apply for financial assistance. Indicate if you would like to be considered for accommodation in one of the UKZN residences. Enclose application fee or attach proof of payment. Return your completed application form with all the required documents and proof of payment of an application fee to the address on the front cover to reach us before or on the closing date. New applicants will be provided with a UKZN student number. Your student number must be quoted in all correspondence/inquiries to the UKZN. The UKZN will advise you of the outcome of your application in writing or by SMS. R400 late applications where allowed. If you are a current student and you have been registered in the previous academic year you will not be required to pay an application fee. If you have been out of the system for two semesters or more you are required to pay the standard application fee. The UKZN charges a late fee of R400 for applications received after the closing dates. Not all qualifications will accept late applications. Programmes may consider late applications only if spaces are available and if entrance requirements are met. If you would like to apply directly to UKZN for admission as a short term full-time student you may also use this application form. Refugee applicants must be in possession of a valid Section 41 permit/Refugee identity document which grants you permission to study. Application procedures and application fees as for local students are applicable. Apply via CAO. Write to [email protected] to request application material. List your programme choices on page three of the application form. Please write the name of the programme in full. Indicate if you would like to be considered for accommodation in one of the UKZN residences. On-campus accommodation is limited and you may be required to find off-campus accommodation. Regretfully financial assistance from the university is not available to International applicants. Please attach certified copies of your school leaving certificate and passport. Attach a letter from the South African Matriculation Board stating that you meet the requirements for degree studies in South Africa. Documentation must be translated if not in English. Proof of payment of the application fee. If a cheque or money order is enclosed it must be made payable to the University of KwaZulu-Natal. List your programme choices on page one of the application form. Please write the name of the programme in full and indicate the relevant campus. Indicate if you would like to be considered for accommodation in one of the UKZN residences. Limited accommodation is available for postgraduate students. Current students wanting to apply for a postgraduate certificate, Postgraduate Diploma and Honours programme must apply on the internal Application form for admission to graduate studies. Download an Application for Admission to Graduate Study for currently registered students. Current students will not be required to pay an application fee. Exchange applicants: International students who study for a semester at the University of KwaZulu-Natal and pay fees to their home institution according to the terms and conditions governed by an exchange agreement. Study Abroad applicants: Fee paying international students pursuing one or more modules for credit (non-degree) purposes for one or two semesters. International School applicants: International students who study for credit (non-degree) purposes for a five-week period during June/July. Short-term applicants: International students/visitors who participate in short-term (non-degree) academic activities for various periods of time. Download a Short Term Application Form. Please consult the 2019 Postgraduate Application Guide and your College for information on closing dates. Closing dates may vary. A pass in an examination equivalent to English Higher Grade (First of Second Language) at South African Senior Certificate level (matriculation). Equivalencies are established by the South African Matriculation Board. A pass in English at GCE A-level, or O-level (C symbol or higher), or International Baccalaureate. International applicants who do not satisfy these requirements, and for whom English is a foreign language must either attain an overall score of 7.0 (for graduate students) or 6.0 (for undergraduates) on the International English Language Testing System (IELTS). For information on IELTS test dates, venues and costs, contact the British Council through your closest British Embassy or Consulate or consult www.britishcouncil.org. Attain a test score of at least 550 on the paper version of the Test of English as a Foreign Language (TOEFL) or a score of at least 80 on the iBT (electronic) version of the test. For information about test dates, venues and costs, contact the United States Information Service (USIS) or the US embassy in your home country; or contact TOEFL direct at [email protected] Website: www.toefl.org. Prospective students who have English qualifications from other testing authorities should send their document to [email protected] for evaluation.